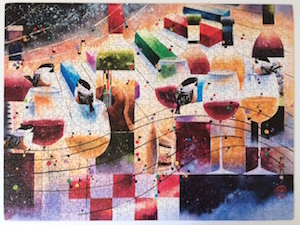 This is a review for the Standout jigsaw puzzle by Artist Alex Fong titled A Thousand Stars on the right side of the above image. First to mention the overall quality rating of Standout Puzzles in general. The Canadian company is located in British Columbia, Canada. 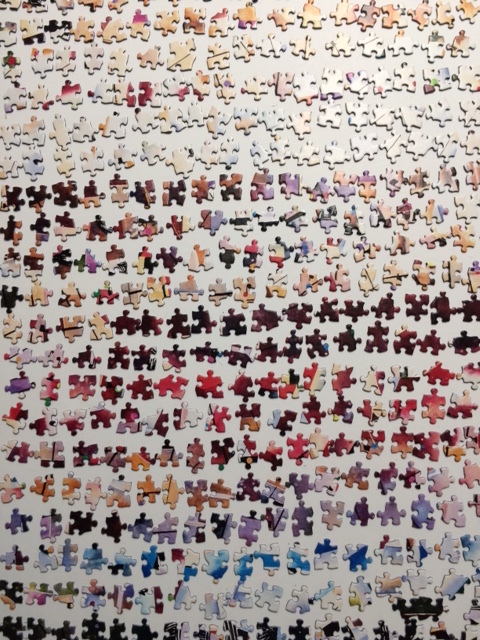 They contacted me to offer sending their puzzles for assembling and review. 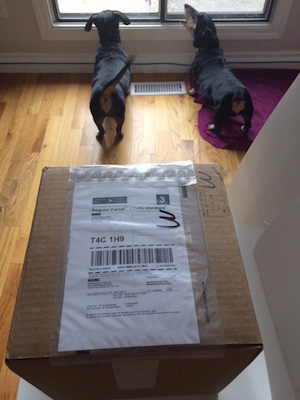 I was pleasantly surprised how quickly they arrived. 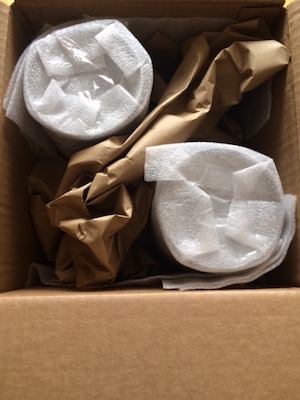 As you can see in the image above, each puzzle comes packaged in a solid tube container. 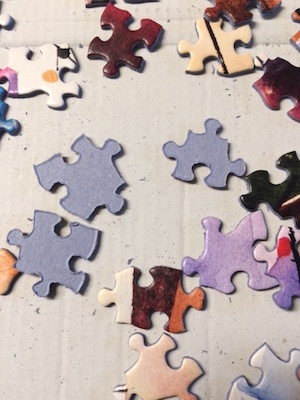 The puzzle also comes with 5 extra pieces for the Puzzler to throw into the mix just to spice up the challenge. 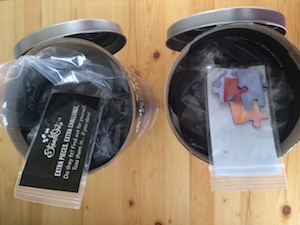 The puzzles are sealed nicely in a plastic bag in the inside, however, you will need a spare box for those who sort through the 'sand-puzzle' box. Also, (shown below) which is very important, the quality of the cut is really good. It certainly is comparable to other major brands. 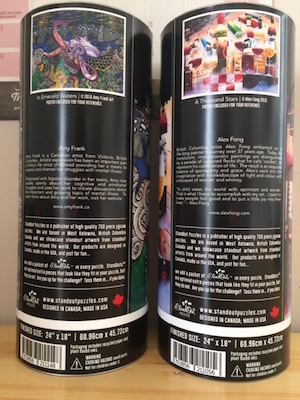 Each puzzle canister has an information sheet with the image (an acceptable size) and details of the artist with a brief bio. 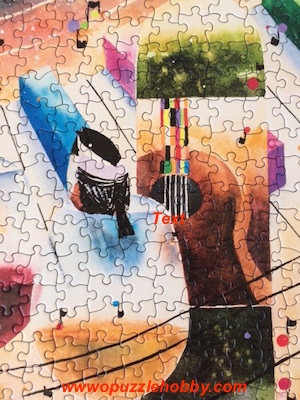 Using the image on the information sheet, I started with the red/white squares, then the stars at the upper left and the very dark colors at the lower right. 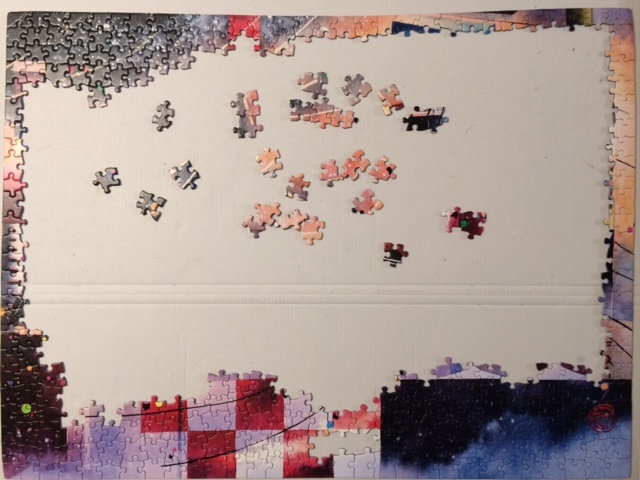 With all the darkness done, I worked the greens, blues, purples, oranges and yellowish colors. Mostly the light/whites were left to finish if off. This one was as tricky as the other one I reviewed....it did not need the extra 5 pieces to challenge me. This is also a busy puzzle with lots of artistry lines overlapping areas of the image. While that made it part of the challenge for completion, it is the finished image in itself that provides a refined contemporary look. Overall the assembling experience was enjoyable. The images the company uses are quite unique in the artist series being their chosen brand and style. The pieces are cut in a mixed shaped but not outstanding random cuts like others. 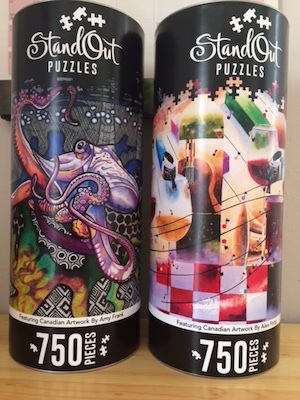 The specialized Artist's the company uses to brand their line of puzzles puts the price of the puzzles on the higher end. 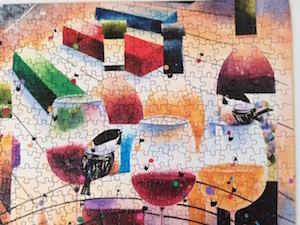 This puzzle would complement any modern basement stand up bar wall or recreation area. 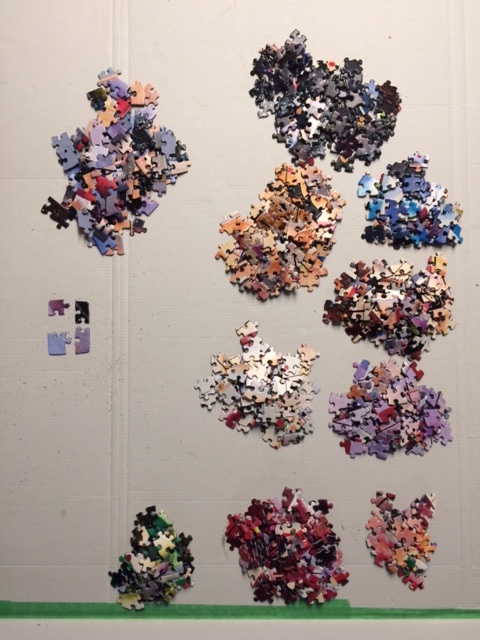 It is also another Standout jigsaw puzzle that I would highly recommend. Currently being sold in Canada and the USA at this time.